Are you looking for a Windows based tablet that you can use even in the wild? Well, it’s easy, you should pick up the Dell Latitude 12 Rugged. The name suggest you that its a rugged tablet which is the best thing about it. This means its dustproof, waterproof and can withstand fall from a decent height. Now let’s talk about the Dell Latitude 12 Rugged specifications. It comes equipped with Intel Core M processor, which is the highly efficient and fanless processor. Accompanied by 8GB RAM and 512 GB storage, which can’t be expanded. If you are concerned with the cameras, then you won’t like that it doesn’t have a camera package. Another best thing about this tablet is that it runs on Windows 8.1. 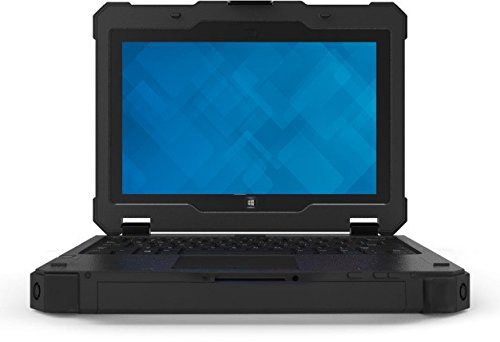 Dell Latitude 12 Rugged full specs and reviews as of Apr 2019. Buy it here!